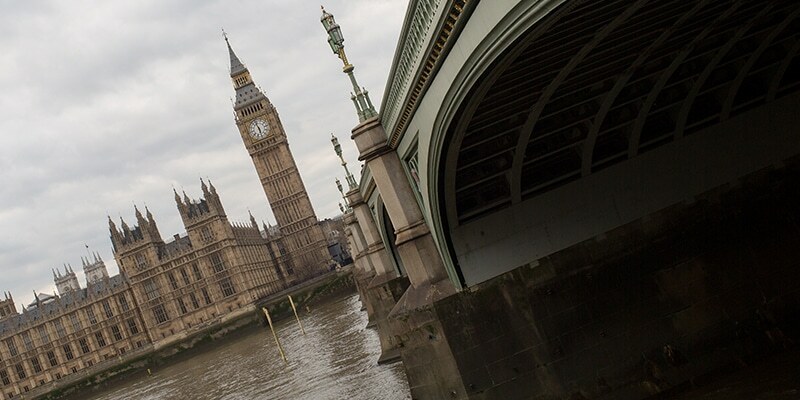 Is the government’s PREVENT ‘science’ really peer-reviewed? Last month, CAGE published a report critiquing the flawed “science” underpinning the British government’s PREVENT strategy. Among the many criticisms in the report, some attention was given to the nature of the peer review process. At the time of writing, we did not envisage the importance of this single issue, particularly in light of the more substantive points we were making. In conjunction with the launch of the report, the Guardian published a news article detailing how 140 academics had written an open letter to the government asking for the flawed science to be made available to academics and psychologists, in order for it to be scrutinised. In that very article, the Home Office responded to the report by stating that the study, used as a basis for PREVENT , had been through a “peer review” process. It is important to mention that had we known that the response from the Home Office would have been to clarify such a small issue in our report, instead of the graver issues contained within it, we would have made greater effort to address this point. As a matter of transparency, it is important that we address this issue since it has created further questions that the Home Office must now answer. CAGE’s report found the scientific basis of PREVENT was flawed. This led to government officials and PREVENT officers making a number of remarks to newspapers and on social media on two aspects of the study. Upon reading their remarks, it became clear – as mentioned by a host of academics and psychologists – that either the government did not understand the process by which the PREVENT strategy went through a “scientific” check, or its spokespeople were being intentionally disingenuous in their explanations. In a quote to the Guardian in response to our report, the Home Office claimed that based on the publications of their study in the “Journal of Threat Assessment and Management” and “Assessment and Development Matters”, their study was not only carried out to “meticulous academic guidelines”, but it was also “peer reviewed” beforehand and then published in “ two publicly available academic journals”. However, the Home Office did not provide any evidence to substantiate their claims. In fact, when CAGE contacted the BPS recently to determine on what grounds the article was published in one of their “academic journals” (Assessment and Development Matters), they stated that this so-called “academic journal”, was in fact only a magazine distributed to psychology practitioners – there was no peer review process involved at all. Moving on to the point of the study having been through a credible peer review process, it is important to point out that for any study to have been put through any such process, it would need to have been extensively critiqued to assess the quality of the article by experts in their field. 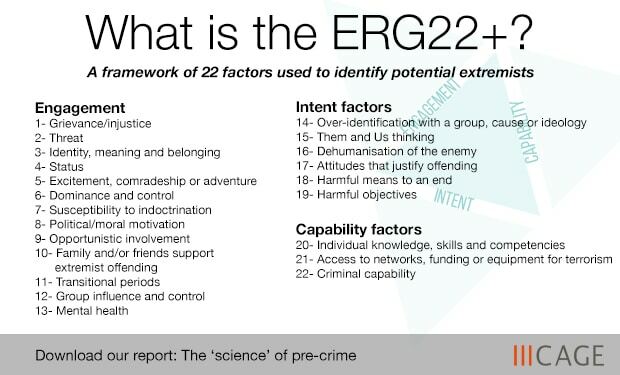 The only way this could take place is for the experts to have been given the original study including the original dataset from which the ERG22+ tool was developed, as well as the methodology involving how the data was interpreted. Based on the admissions provided in the journal article itself, the authors of the study admit that it did not go through any such process. Furthermore, the academic community has asked for proof of this process which the Home Office said took place without having provided any evidence to substantiate their claim. This proof has so far not been forthcoming. 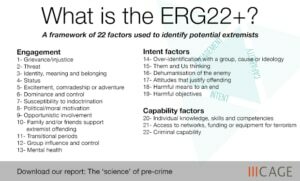 Any claim that a peer review process of the science of the ERG22+ took place or was possible in the BPS article, would not stand the test of any academic journal. In fact, the BPS should issue a statement clarifying whether or not that is the case. If they confirm that their publishing process is equated to an acceptable peer review of the entire science, then it will suggest that the BPS is providing fraudulent academic cover for the government’s original study. On the other hand, PREVENT officials, normally active on social media, largely remained silent with the exception of senior PREVENT officials Abu Ahmed and William Baldet. The statement by the Security Minister appears to indicate that the study was peer reviewed, and then due to that process of peer review, acceptably published in two journals. The BPS journal, we have already explained, could not possibly provide a credible peer review of the science, as it is a three page summary that provides none of the data – to claim it would have been possible for two blind reviewers who had never had access to the data, to carry out a sufficient review of the ‘science’ is less than credible. In a similar vein, the longer journal piece in the American Psychological Association Journal of Threat Assessment and Management, presents a similar problem. While it is a somewhat longer discussion of the original study, the possibility for an adequate blind review to have taken place would simply have not been possible without the reviewers having been given access to the original ‘study’ – and this is not indicated anywhere in the journal article or the editorial introduction to the journal. For that internal report to be blind peer reviewed to an acceptable standard to consider it legitimate ‘science’? For the government to place the ‘study’ on a statutory footing? These two statements from the author of the ‘study’ itself, present the clearest indication that whatever ‘science’ the government has relied upon to form the 22+ factors of vulnerability factors to indicate ‘radicalisation’, it is based on nothing more than a non-peer reviewed internal report. Furthermore, the peer review process is the backbone of science. For the government to toy with this term in order to manipulate it for its own ends – as seems to be the indication here – threatens the integrity of scientific study. This should be challenged vigorously by practitioners and civil society members alike. 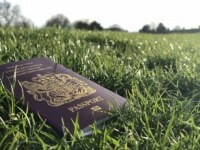 As such, continuing with such a policy as the basis for referring individuals to security services and making court decisions that have a lasting impact on individuals and communities, is a matter of grave concern, not least of all considering the unethical way in which it has been implemented.